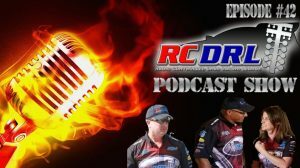 The RCDRL Podcast Show host Michael Mercadel & Heather Bowman are geared up to bring you another entertaining and wacky show! They will cover updates to the Rockstar Powder Coat US Super Nationals and three RCDRL events including the Louisiana Spring Nationals, the Texas Garca Cafe Nationals, and the blistering COLD Allmark Impressions Thunder Nationals. They hope to catch up with Carl Russel, one of three first time winners in the RCDRL from a full weekend of racing. These two promise to get you caught up on all the latest news and events happening around the league. So tighten up your car seat kids…Let’s GEAUX!